The Paton SC1-R wins all in TT: the Italian bikes have been the undiscussed leaders of the lightweight category (here you can find the race report). Stefano Lavazza and Marco De Rossi’s company, the SC-Project, is a leading firm in the exhaust systems’ production for the racing world, and they decided to make a brave move buying Paton, the historical Milanese stable. They want to make Paton great again, starting from the most famous road race in the world. The Italian company, that can now count 70 employees, is planning its future. We interviewed Fabio Campanile, head of the press and communication office of the SC-Project group, who is on Man Island these days together with the rest of the official team. A men’s success, but also a very well-planned project. We found out that the Paton SC1-R Lightweight allures even the greatest riders: his majesty Michael Dunlop asked to race the Mountain with the official Italian team, next to Stefano Bonetti; and even Michael Rutter, who won last year’s TT, decided to race with a “client bike”. Five Patons in the first 6 positions, the victory and Michael Dunlop’s record on the lap: how does it make you feel? It’s an amazing result! It comes from a perfect combination between 60 years of experience in the racing world and the important SC-Project investments (head of Paton since 2016), without forgetting the unmatchable job of our mechanics, who managed to improve an already winning bike. How did you reach this result? How long have you been training for this TT 2018? It’s hard to find a context where you can try bikes that have been designed and developed for road races. 60 years of racing experience (2018 is Paton’s 60th birthday) together with the expertise of a group like the SC-Project, who has been working with the best teams in the World Championship, really helps a lot! Could you give us some comments on your riders’ performances? Did you expect such competitivity? Michael is a star in this field. After last year’s results, many riders came to us asking for a bike. When Dunlop called, we immediately decided that he would have been the official rider next to our fundamental point: Stefano Bonetti. Michael did what he does best, and what everyone expects: he won. He did it in its own way, dominating FP, Qualifying and then the Race, recording record times on lap one after the other, as he was feeling his bike better and better. Stefano did a superb race, and we hoped for the podium until the very end but unfortunately, he didn’t make for just a few seconds. We are very happy for Michael Rutter, who rides one of our Patons: the bike is managed by his team (Bathams) but it’s produced and created by the Paton SC-Project, we can say it’s a “client bike”. 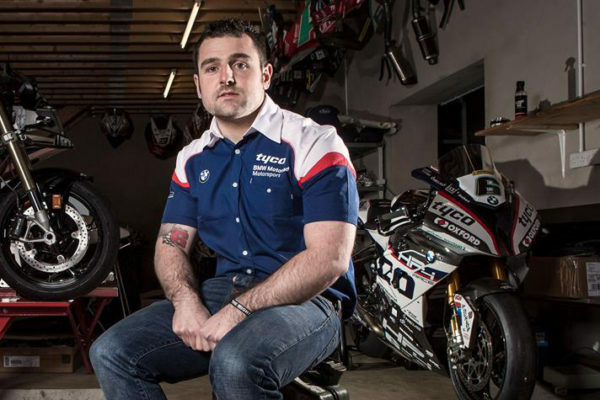 How was working with a rider like Michael Dunlop? 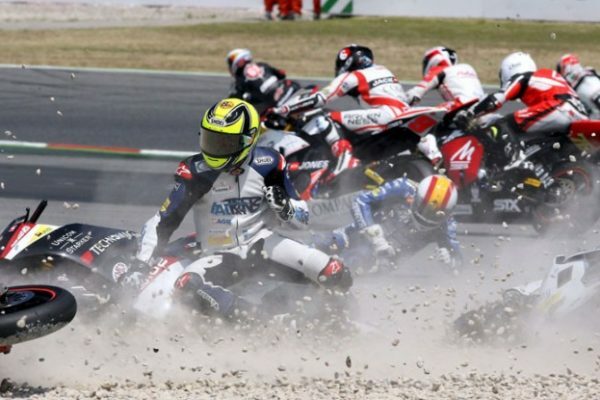 Legends say that he is the undiscussed leader of TT but an introvert: a great professional, but a little distrustful. We worked incredibly well with him. I worked directly with him and I can tell you he is a true professional, a perfectionist – we should always remember what’s at stake for him during these races – but he is also a very nice guy, always ready to joke around! Stefano Bonetti got the 4th place, only 9 seconds away from the podium. His bike grew up, and this Italian couple is a dream come true. Stefano’s 9 seconds from the podium is an extraordinary success, that leaves us with much hope for next year. Bonetti is a top rider in this category, and he is a fundamental point in our team. TT is an important testbed and Paton managed to face this challenge with excellent professionality: shall we expect more surprises? I can’t tell you the future. But some great news will come out soon.